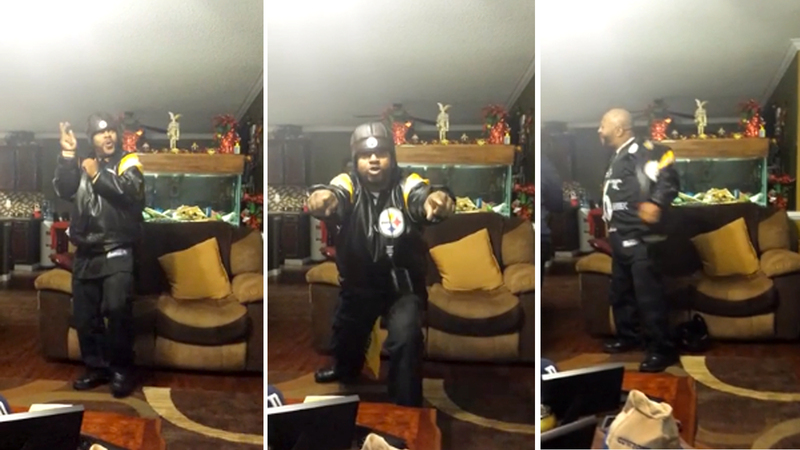 Pittsburgh Steelers fans are usually a arrogant confident bunch, so it’s easy to understand why the guy in the video below felt so strongly that the Chiefs would hit a last-second field goal against the Chargers last Sunday and, in turn, send his team to the playoffs. You’re going to want to watch this guy’s reaction to it all. Some of the best parts from the video: His buddy dancing and laughing after the kick goes wide. The lady who dances into the video and says something about the Cowboys.